Sew Many Ways...: Tool Time Tuesday...What's In Your Medicine Cabinet? 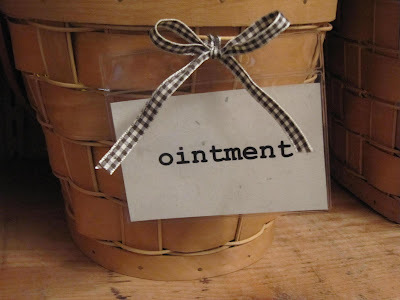 Tool Time Tuesday...What's In Your Medicine Cabinet? 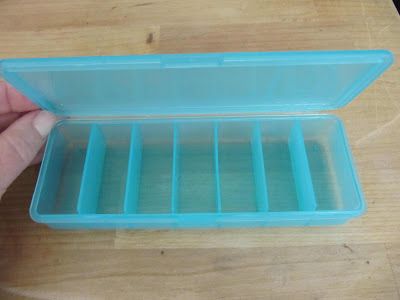 Hello everyone...this Tool Time Tuesday has some organizing ideas and some sewing storage tips, but all the ideas are from your medicine cabinet. Here's a picture of a closet in our back hallway off the kitchen. It's not visible from the kitchen, but the hallway is used a great deal. I removed the doors for easy access and used cute baskets to keep it clean looking. I am trying to buy a few baskets at a time of the oval shaped ones so they'll all match. Right now I'm just using baskets from around the house. It's so much easier for everyone to find something in the medicine cabinet if things are labeled. 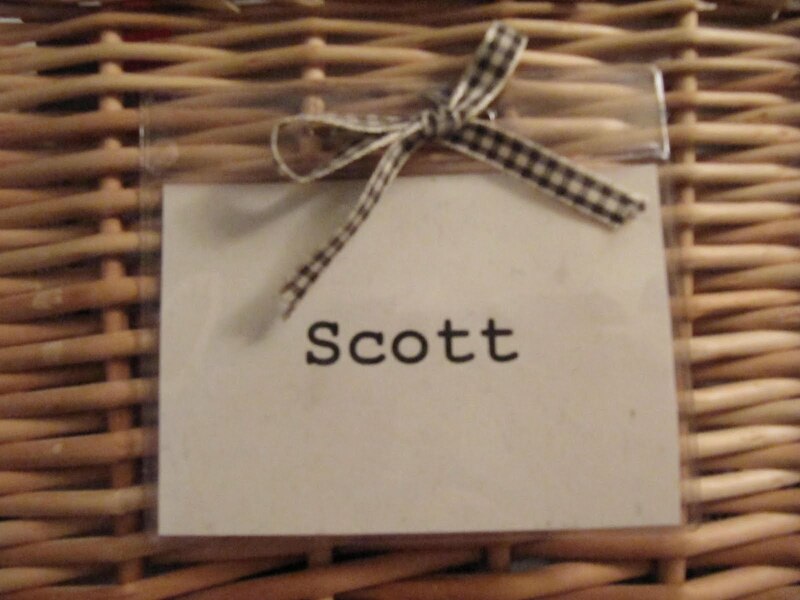 I've shown this idea before, but I just use name badge holders and printed the name of what's in the basket. 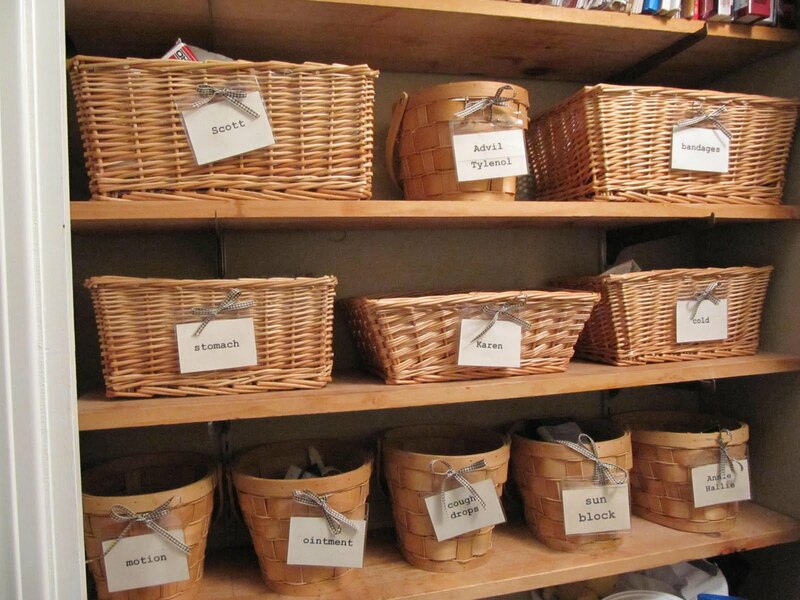 Here are a few examples of the baskets in my medicine closet!! And now to steal a few things out of this medicine closet for this week's Tool Time. 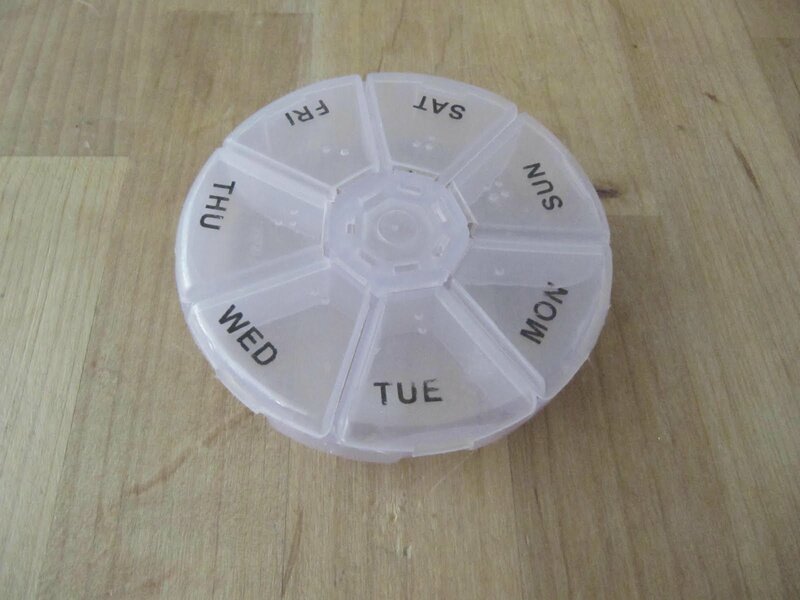 Do you have a daily pill case hanging around? If not they are available in any drug store. 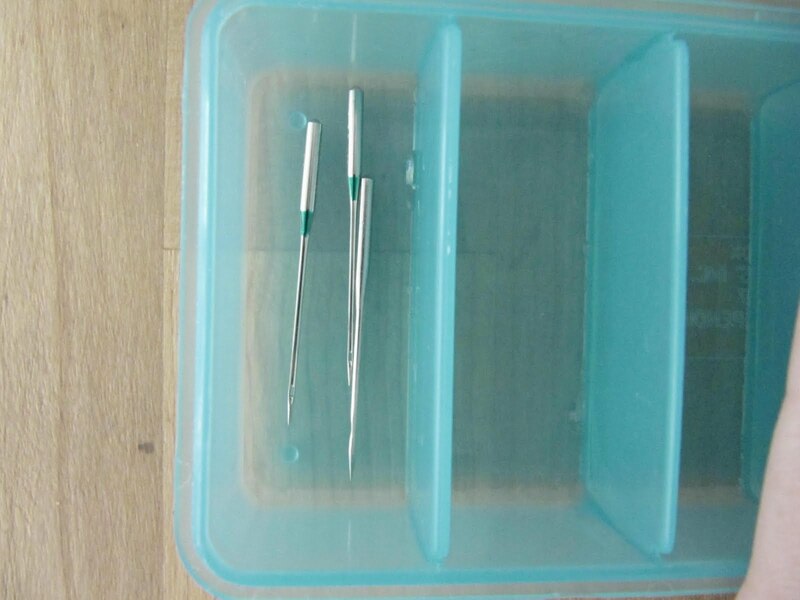 How about using it as a travel case for your bobbins. Great to take it with you to a class or when you're going on a retreat. Don't forget another Tool Time idea of using the mini hair scrunchies to wrap around each bobbin. They hold the thread in place so it won't unwind. Click here for that post. All safe and sound in the case. This is a big pill organizer case that was my mom's. It's a weekly box that has morning, noon, evening and bedtime spots. A great case to hold ALL your bobbins. Perfect to hold all your different sized needles. Half could be machine and the other could be hand sewing needles. 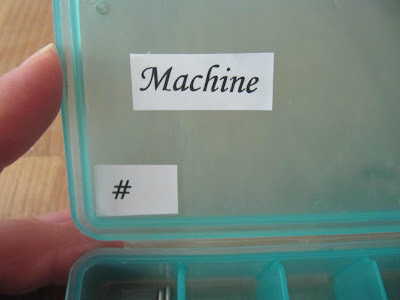 Label it with the size number of each needle. Save all your old empty pill bottles or the bottles from your prescription pills. Label it clearly with "OLD NEEDLES" or "BROKEN NEEDLES"...much safer to store them all in a bottle and then just throw the whole bottle away once it's full. Here's a another tip...go through your medicine and dispose all the expired medication. Not sure how your city or state disposes of old meds, but find out where...don't throw them down the drain into the water supply! 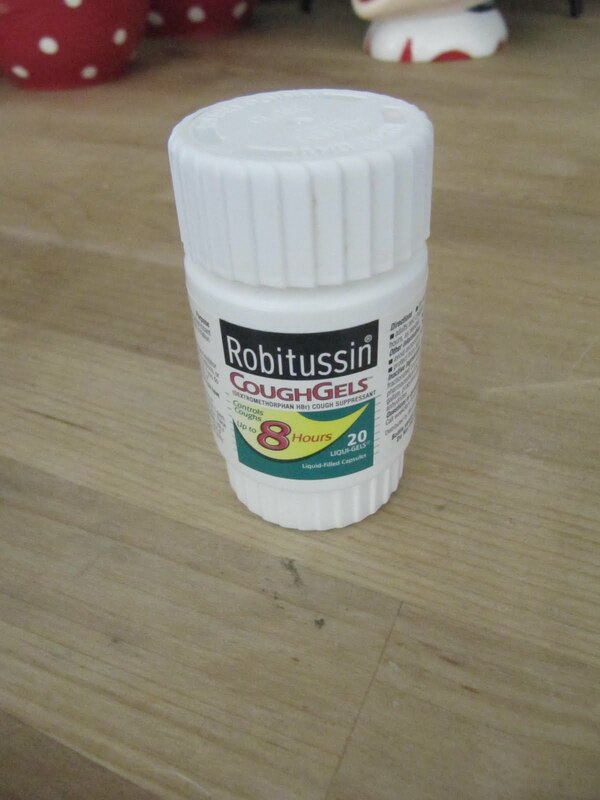 This medicine has expired , but the bottle is great. Dispose of the medication properly and wash out the bottle. When the soapy water is in the bottle, squirt it out of the sprayer to clean that out. Do this a few times until you test it on white fabric and it comes out clear. Mod Podge some cute fabric over the label and you have the cutest travel water spray bottle for classes or retreats when you are ironing and want some extra steam! 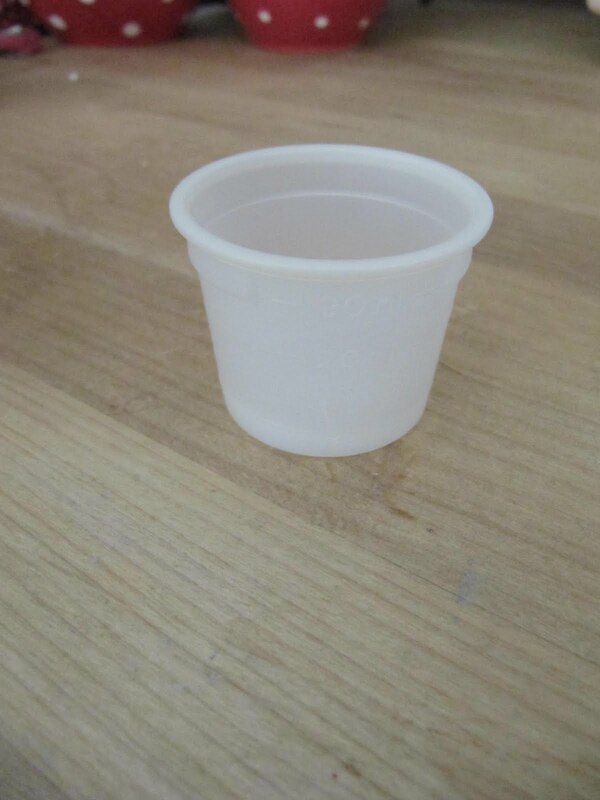 and here is the measuring cup from Pepto Bismol...I'm seeing a little pin cushion in this little guys future. You can use this tutorial as a guide. So my advice to you is clean out your medicine cabinet, organize it and save all the empty bottles and containers. Wash them out thoroughly. You never know what you can do with them. you certainly are the queen of organization....don't come to my home, you would get ill. Loved ideas for storing bobbins. empty bottles and containers. Thanks. I have saved a lot of prescription bottles but don't have a tremendous amount of needles to dispose of...so I'm trying to think of some other ideas to put them to use. I love how organized your medicine CLOSET is!!! Some great ideas. I use baskets to organize my Medicine closet/linen closet too. You are so beautifully organized! I have my medicine cabinet organized in plastic baskets that don't match. Maybe I'll try pretty wicker soon! Loads of great tips, thank you! I just love all your organizational ideas! I just bought a whole bunch of white pretty baskets at Joannes a couple days ago (50% off). You can never have enough baskets. 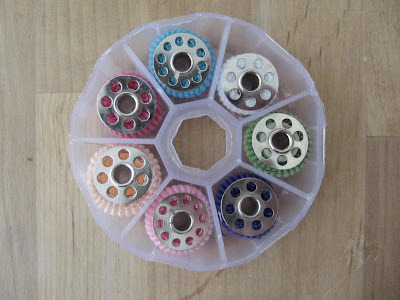 Oh, my gosh...I love the ideas for the bobbin holders...who would have ever thought that up...but you!!! Karen, I was happy to read your mail this morning and your post now. 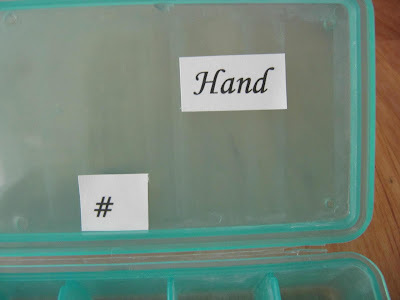 Great ideas for organizing things. How much would you charge to fly down here and get my house organize???? I have some friends who would be happy to get theirs organize, too!!!! haha!!!! Wouldn´t this be a neat job??? it could help pay college, and you will be so busy travelling around the globe you won´t have time to get sad or lonely!!!!!! 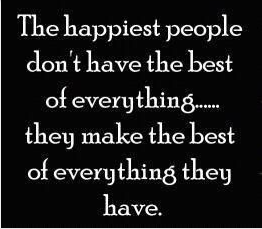 Have a great and fun day!!!! 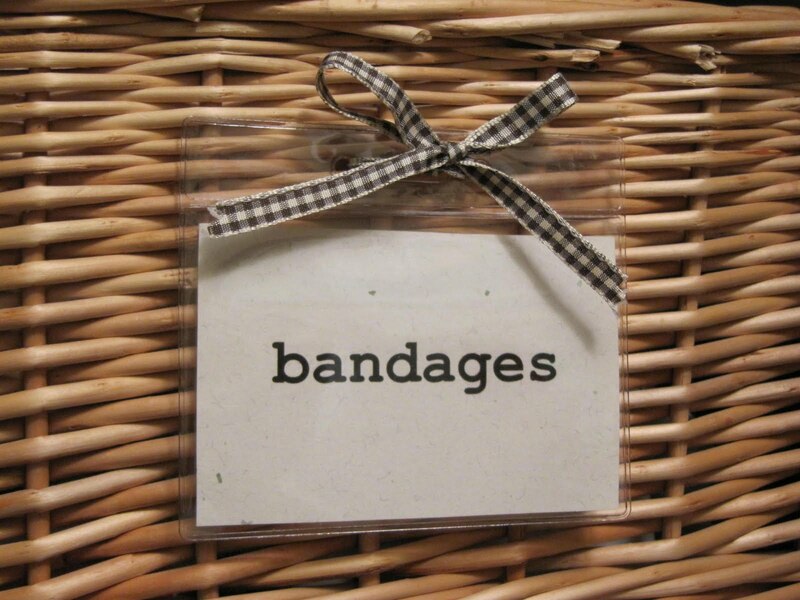 Your little baskets look great. Ok, the baskets are almost too much. Wow! 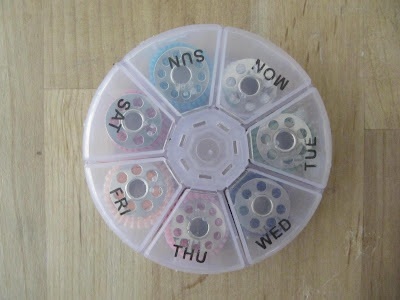 I love the tip of using a weekly pill box for bobbins. Brilliant. 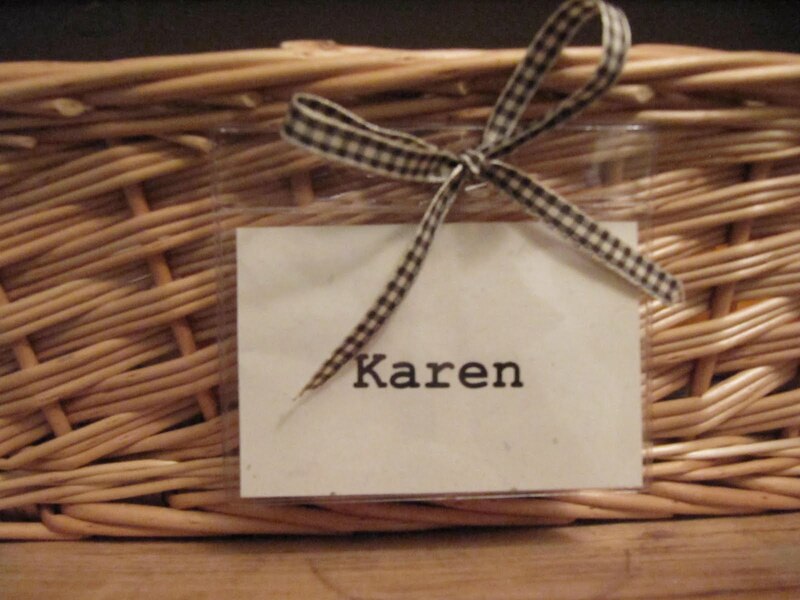 I use some baskets in my bathroom closet, great for holding wash cloths. 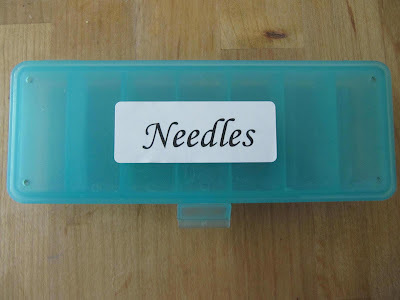 I do have a needle box like that, but bought it from jo anns. It is nice since it holds large and small ones and snaps shut, so kitties can't get into them. GREAT IDEAS Thank you for sharing... NOW I'm really going to lose sleep trying to organize all my closets! Great ideas as always Karen...thanks so much! Some very clever ideas! 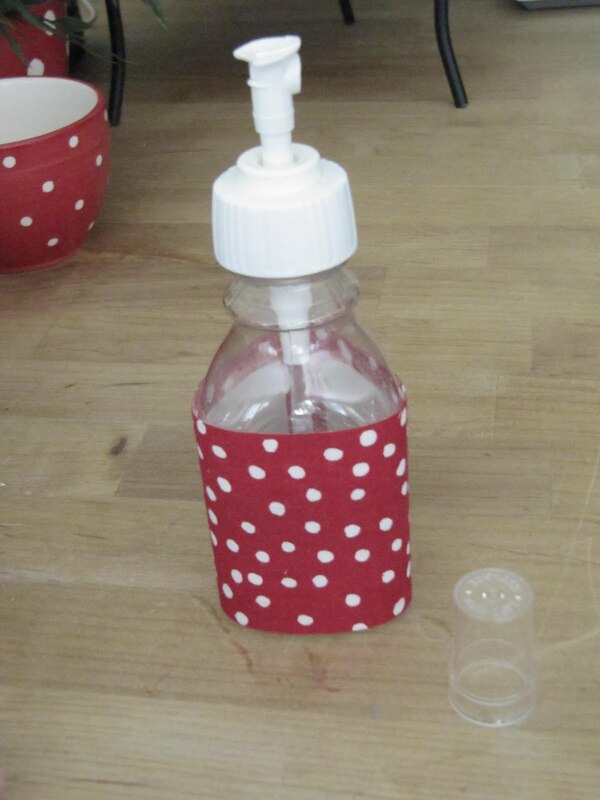 I've saved my old pill bottles for broken pins and needles, but never thought about the squirt bottle. 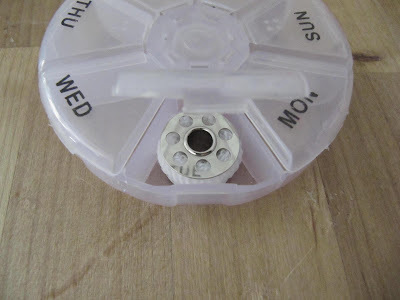 And the pill/bobbin holder is a fantastic idea! 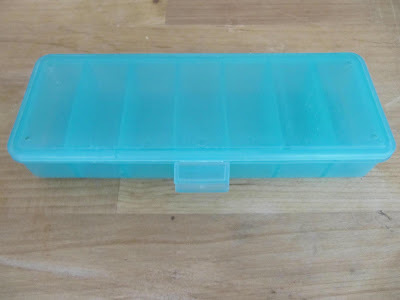 I have been a pill box lover for a long time! My fav use is to store jewelry when I travel. If it does not fit in the box...I usually wear it or leave it home! 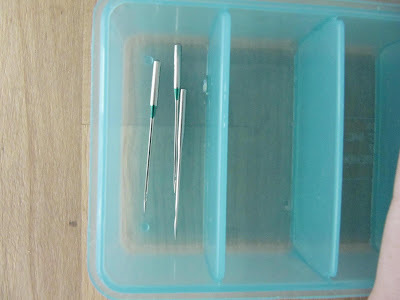 Love the needle storage idea..I spent 30 mins yesterday looking for a straw needle to bind with....ACK! the bobbins. I wish I had a closet that big to organize my medicines. book and put it right beside Ms.
Great organizational tips. Thanks for sharing. When can you come organize my house? 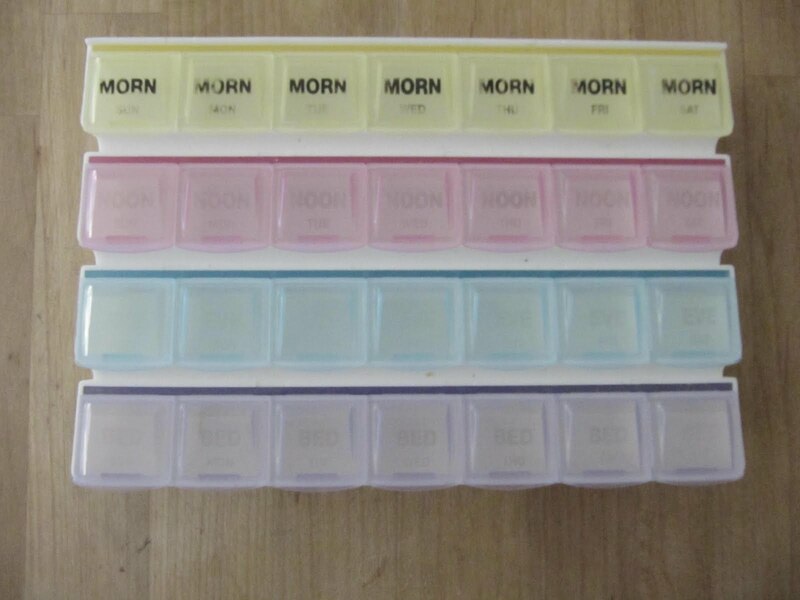 Karen, I love how you organized your meds... I just need to have a much bigger closet than I have now !! LOL. My very favorite idea, though, has to be the medicine case to carrie the bobbins... that is genius !!! Thanks, friend. I LOVE, LOVE, LOVE your bobbin and needle storage idea. Thanks for sharing. I absolutely LOVE that you can see everyday items in a different light. We sometimes get stuck in our thought process........of course a pill container is a bobbin or needle holder.......why on earth would we put pills in them if we can store sewing items. All great ideas but I really like the one about using the badge holders! If you can, remove my name from the AccuGo list, or if you pick mine, throw it away. I won Paulette's contest this morning. My AccuGo will be coming to live with me soon! I absolutely love how orderly you are! :o) What a clever idea for the bobbins! I will need to try that myself. 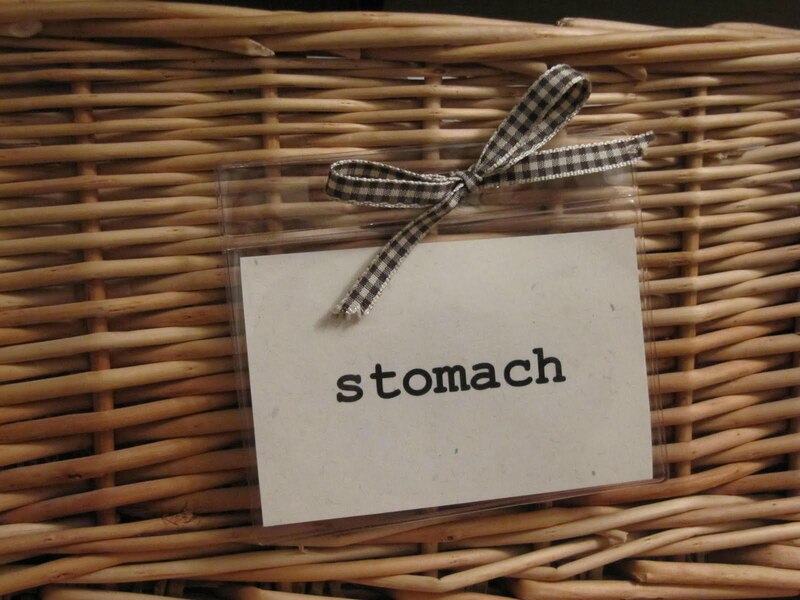 :o) And your baskets are so cute!! I am having a little give a way today. Would you like to come over? 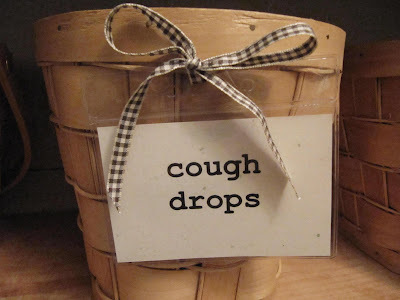 Always love your ideas... but just want to remind everyone, as they are clearing old medicines and such out of the medicine cabinet or drawers, not to dump it into the sink or the toilet. Many medicines are creating problems with our drinking water supply. I thought my medicine cupboard was organized but I can see it isn't. You just gave me a project to work on this afternoon. Thanks. Its a great idea. Never before have I seen a cooler medicine cabinet! I might have figured out some other usages for the pill organizers, but I think I am going to copy your basked idea for sure. You could have written about 5 blog posts with all the great info you included on this one! What great ideas. I never even thought about using pill bottles as sewing storage. Thanks for sharing! 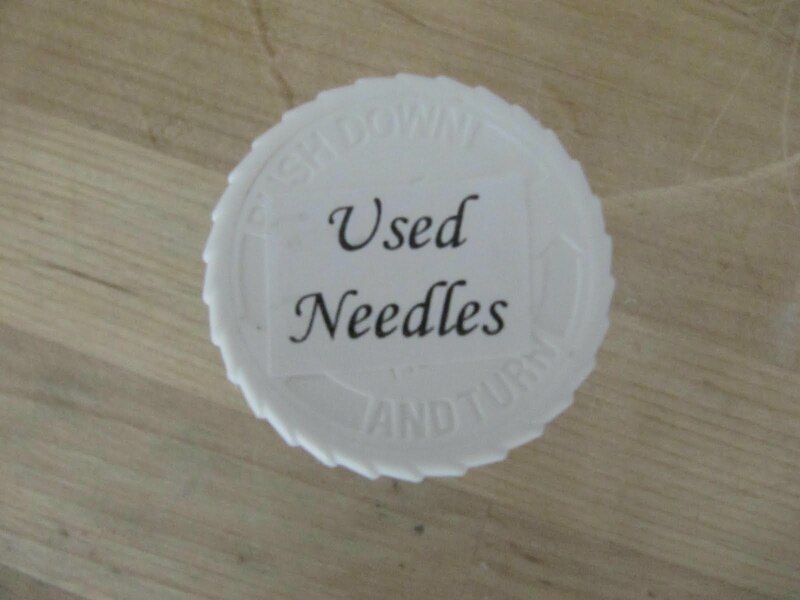 I use the medicine bottles for old needles. I poked a hole in the top using an ice pick and I can just stuff them in there. Works great. I also keep my needles in the pill box. Mine holds the whole packs of needles. Great ideas. Great stuff again Karen. 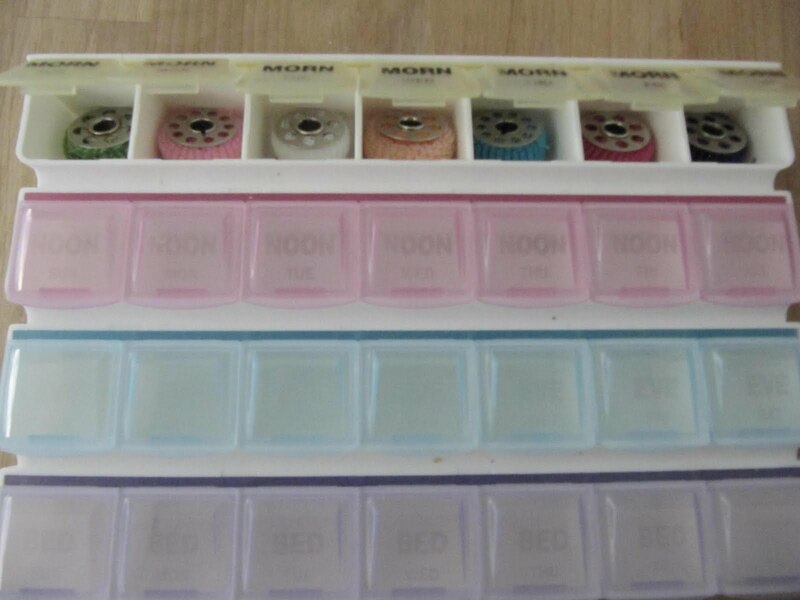 I especially like the pill box for bobbins! I'm going to get one of those tomorrow! Karen, Your posts always amaze me! Maybe someday I will be as organized. I love your bathroom idea. And your need ideas, though I will wait till my 2 yo wouldn't have a heyday opening and dumping them for me. These are such great ideas!!! 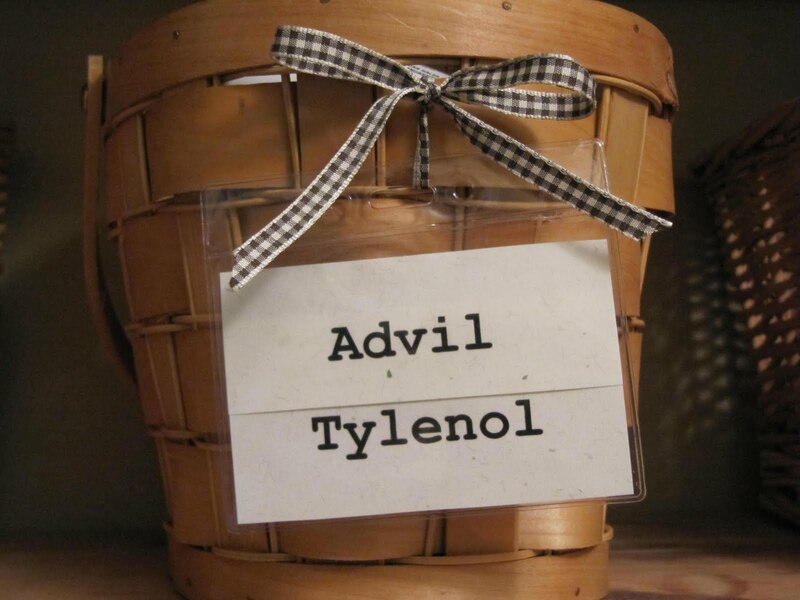 Love the baskets for the medicine cabinet. Great ideas! I have to admit that I have been using empty medicine bottles for a long time to hold used needles and bent pins...and taking quite a bit a ribbing for it from my quilting group. They can't figure out why I don't just throw them in the trash. I asked them if they would want to get stuck with needles and pins as they emptied trash cans, or how often some little scrap of trash missed the intended container and ends up on the floor...they just laugh at me. I also use the really big prescription bottles for old rotatry cutter blades if I don't have a regular case to put them in. I can't fit anything larger than a 45mm blade in them but it is what I use most anyway. BUT...pill minders for bobbins!!! I love it. I had never thought of it and I have several around here I could use. Perfect solution to the bobbin problem. Thanks again! Karen, what innovative uses for everyday items! Here's a tip for you too. I use old sewing machine needles, with the points broken off, to hang pictures and wall hangings in my apartment. The landlord doesn't like too many holes in the wall, and a hole the size of a needle shaft isn't noticable at all when you remove it. Those babies can hold some weight too! What great ideas! i love the pill containers for your bobbins!! Here via Tatertots and Jello. LOVE the medicine organization. 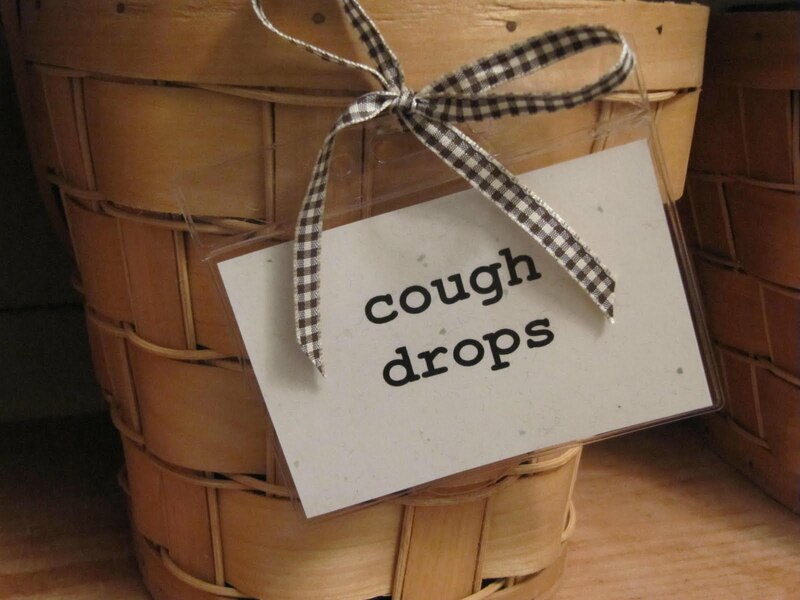 So useful, especially with kiddos. So great! Love your organization! I love to organize...so I think just like you! I love great organization. Yours takes it to another level. Simply awesome! 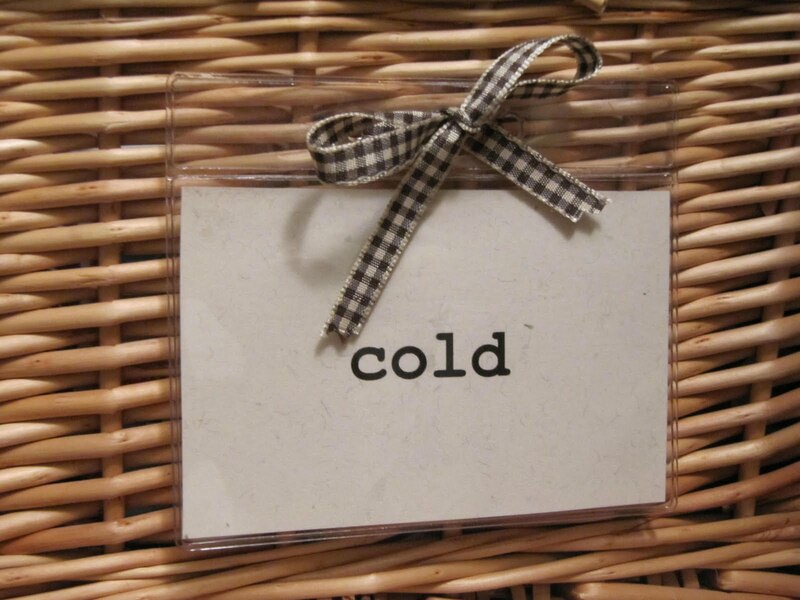 And I love all the labels you used. Practical *and* pretty. I am hosting a link party on my blog this weekend about words/quotes (The Weekend Word Search). Please consider stopping by! Your project would be a great addition. you are a genius at orginaztion. i love the bobbin storage idea. i almost threw away one of those medicatin containers yesterday and now i am so glad i didn't. Thanks for linking to We're Organized Wednesday. I hope you can join again this week. 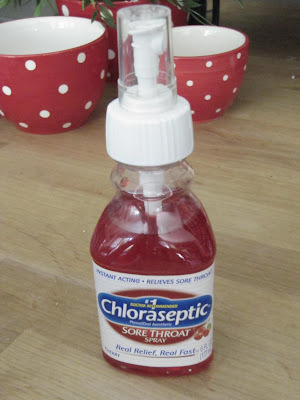 Just wanted to share with so many people tossing medicine down the drain/toilet it's actually getting into our water! The pill is actually being taken by nearly everyone due to the contamination of our water. LOVE all your organizing posts! I love the ideas for the bobbins & the needles! You are Fantabulous! Just found this site and I am addicted!!! Not organized yet, but getting there! Thanks! What great ideas!Can't wait to try them:) Your sewing room is sooo cute. I've been feeling really guilty about broken needles, and ones with burrs on them... thank you for the medicine bottle tip for collecting those needles and safe disposal of them! Your spray bottle idea grabbed me too! 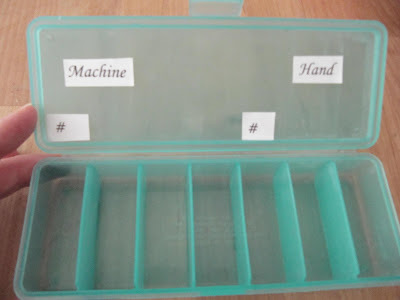 I've been using the oblong baskets from the dollar store to organize drawers in my bathroom... one for eye makeup, one for hair removal (tweezers, razors, etc) one for hair brushes, etc... works like a charm and much less expensive than other methods. But I'm HERE because I know I can get more good ideas! Thanks for sharing! You are sew (pun intended) creative! You have so many great ideas! I love coming here to see what you've come up with! Do you have any ideas on how to organize a shoes? I love my shoes, but I have no idea how to store them or organize them nicely and in a small space! Help! I use old prescription bottles for a number of things. One great use for a tall one is as a little sewing kit. Add a few needles (sharp point down), a small seam ripper (sharp point down), a bobbin of thread in the desired color, and maybe a few buttons and a needle threader. 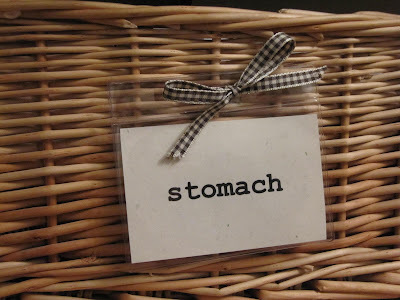 Close the lid and it's ready for a purse or coat pocket. The seam ripper can be used like scissors in most mending situations. I made one for my brother and he loved it. You can also use a bottle to protect a skinny spool of thread while traveling, or to store empty bobbins in. I love your idea. Really this is very good blog. I read your post its really inspiring and helpful post.I'm glad that you shared this helpful info with us. name badges Perth.